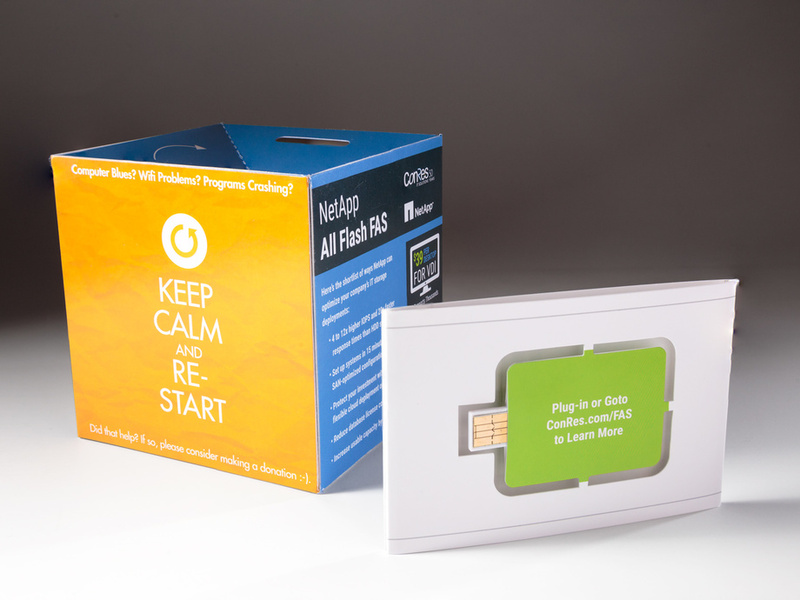 What’s NFC and How Can I Use it in My Marketing? 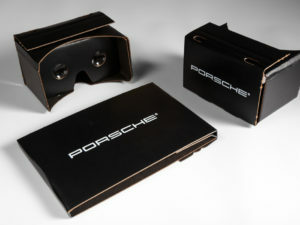 Image courtesy of The Verge. So, what exactly is NFC? NFC stands for Near Field Communication, a short range wireless RFID (Radio Frequency Identification) communication technology which allows two devices to communicate and share information with one another once they are within a certain range. 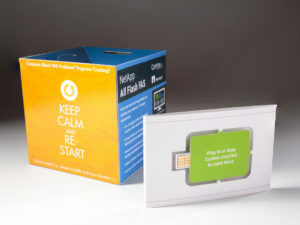 What’s especially cool about NFC technology is that there’s no need to download or launch an application to use it – bringing the NFC-equipped devices near one another automatically triggers the action. But isn’t that a QR code? The short answer? Not exactly. Though QR codes and NFC can both be used to transfer data and link content wirelessly, there are some key factors that differentiate one from the other. Here’s an infographic from www.unitag.io which illustrates how you can tell them apart. Then how does this apply to my marketing? To unleash the full potential of what NFC technology has to offer, we’ve compiled a few simple ideas and benefits to using it in your future marketing campaigns. It works everywhere. That bus station in the middle of nowhere? NFC works there. How about that national park with spotty cell service? Yup, there, too. What’s truly remarkable about NFC technology is that it’s usable in environments where Bluetooth or service is of limited use. It allows you to tell a bigger story. 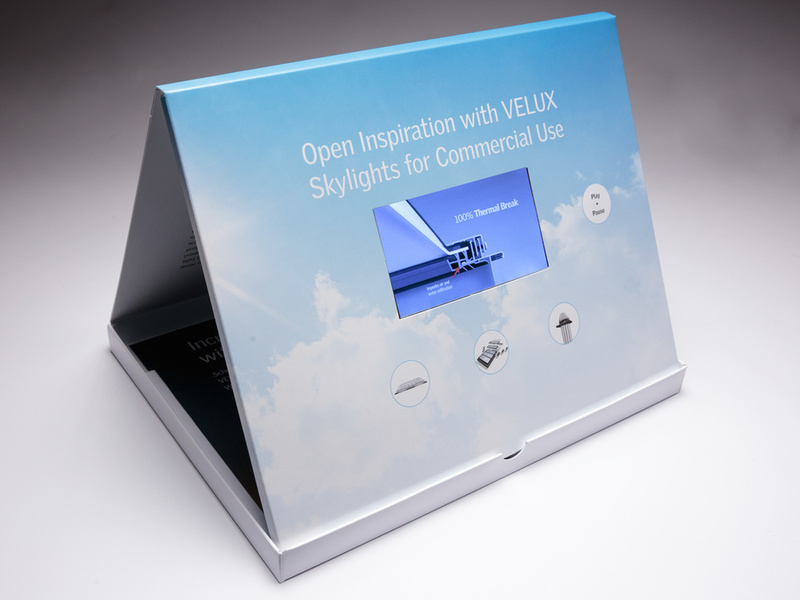 Does your business’ product or service have more to it than can fit on an ad or shelf-talker? NFC might just be for you. 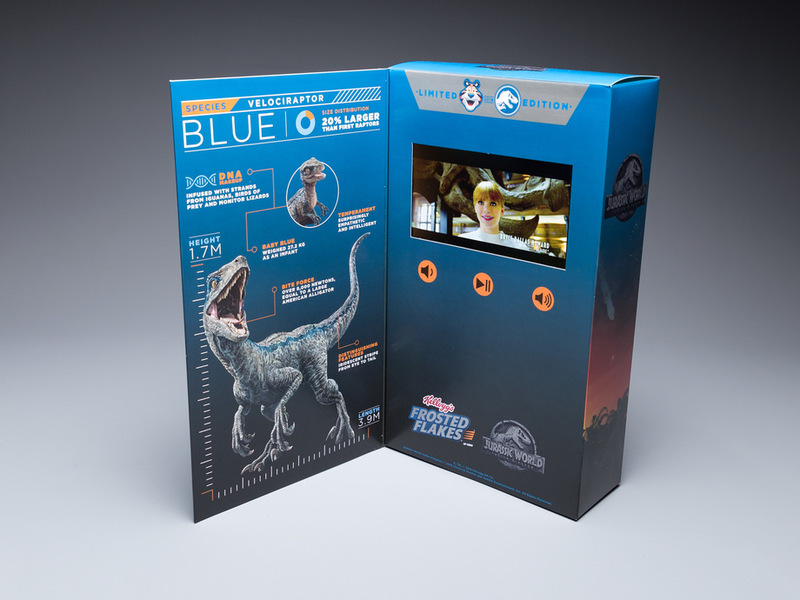 A simple NFC tag embedded in a shelf-talker, POS display or packaging can deliver additional information – such as free recipes, loyalty discounts, video demonstrations or educational material – that can provide more context for customers and motivate them to act. It takes the online offline (and vice versa). Roughly three quarters of Americans currently own smartphones, according to a 2017 study by the Pew Research Center. They don’t predict this will be slowing down anytime soon. As a marketer, it’s becoming increasingly important to build more integrated customer experiences that can bridge the virtual and physical worlds in a way that fits buyers’ lifestyles and captures their attention. It helps create tailored offerings for customers. As marketers, we all know that the most valuable currency we have is data. The more we know about the preferences, geography, income and purchasing habits of each target customer, the better we can reach them at the right time in the right place with the right offer. With NFC, a direct connection is initiated between individuals and marketers. As a result, we’re able to learn more about them and develop tailored offerings they value. It hands the power over to consumers, but not entirely. It’s been said that the average American sees or hears more than 4,000 ads per day. 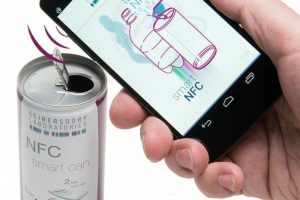 In a world where each one of us is bombarded with unsolicited advertising, NFC technology gives users greater control over their interactions. 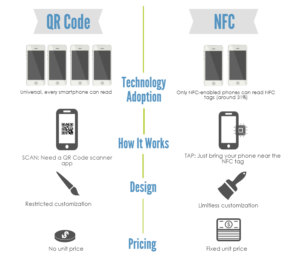 Interested to learn more about NFC? 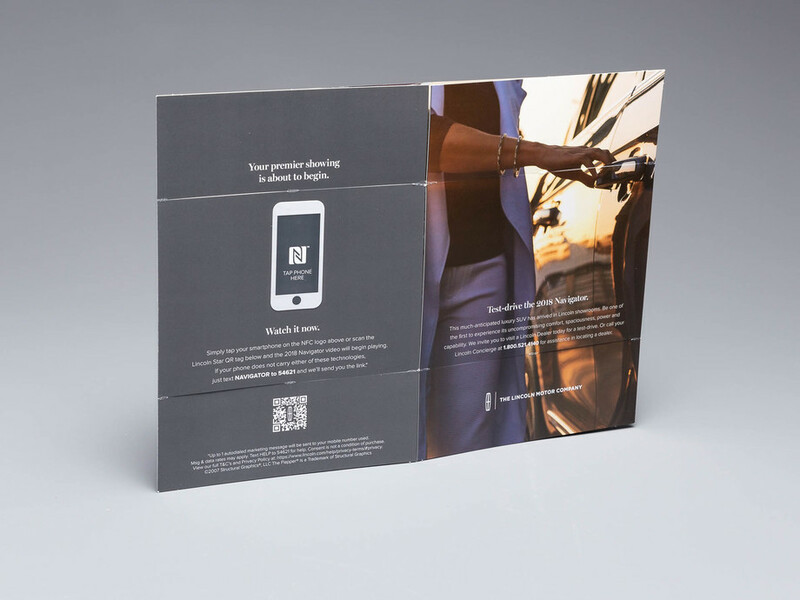 Visit our Print and NFC page on the Structural Graphics website to see examples of NFC campaigns our clients have created. Contact us for more information on the technology, how we’ve implemented it and what we can do using NFC to help your business. The possibilities are endless. You’re Not Making These Silly Print Marketing Mistakes…Are You? 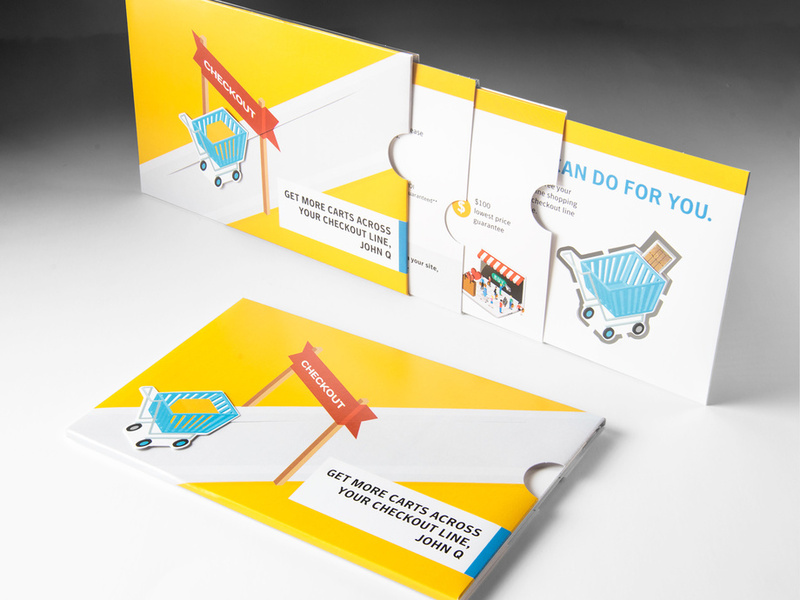 Are you a marketer who regularly uses direct mail? 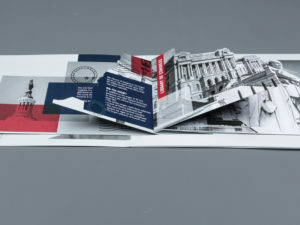 Here at Structural Graphics, we’re big proponents of print marketing and have applauded its ability to generate feedback, loyalty and, ultimately, sales. However, if you’re not using it properly, these pieces – and leads – can end up in the garbage. To help you better succeed with your direct mail campaigns, we’ve compiled this list of common blunders that can hinder your prospects. 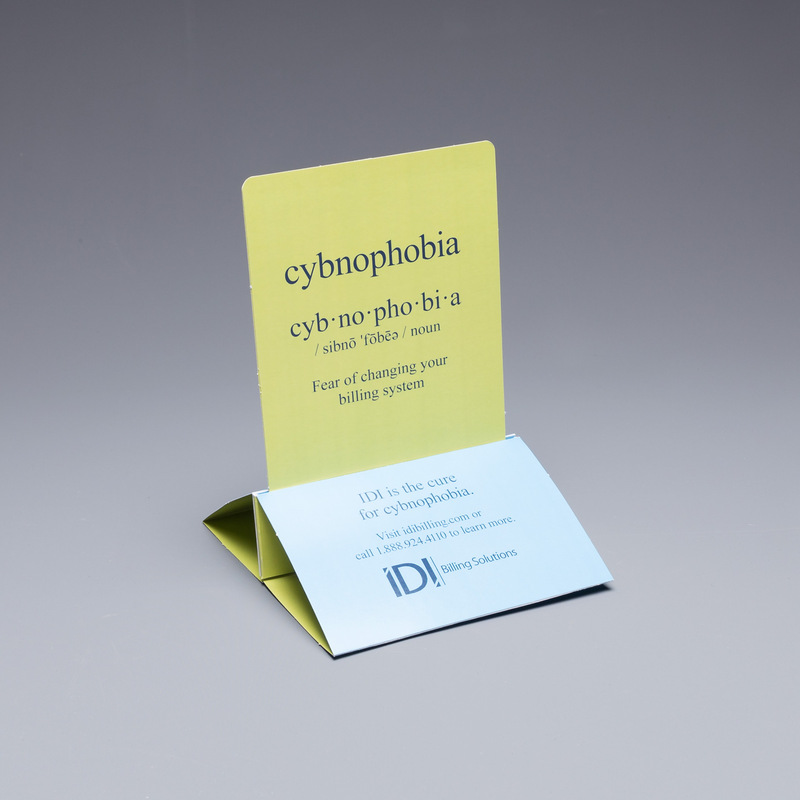 An unclear message: Does your headline match your CTA? Do your graphics tie into your angle or story line? Is your copy clear, concise and appropriate for your audience? Wrong audience: Do your research beforehand. Consider not only the age, location and interests of your target demographic, but also the appropriate time of year to contact them. For instance, tax season may not be the appropriate time to contact small business owners, and members of a senior housing community likely won’t respond to real estate marketing. Being too self-indulgent: There’s a delicate balance between asserting your strengths and overindulging in them. Recipients don’t want front row tickets to the “Me Show”; they care about “What’s in it for me?” Great marketing always focuses on the recipients, not the business or agent reaching out. Highlight your brand’s value by showing how your product or service can help change people’s lives, making them easier or more fulfilling. No contact info: Print or digital, your marketing should always have the first and last name of someone for the recipient to contact. 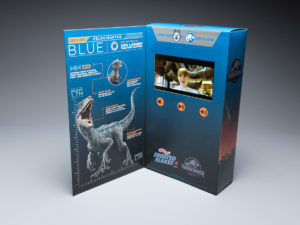 This simple touch point creates a connection between the consumer and your business, and saves them the hassle of having to go looking for someone to reach out to. 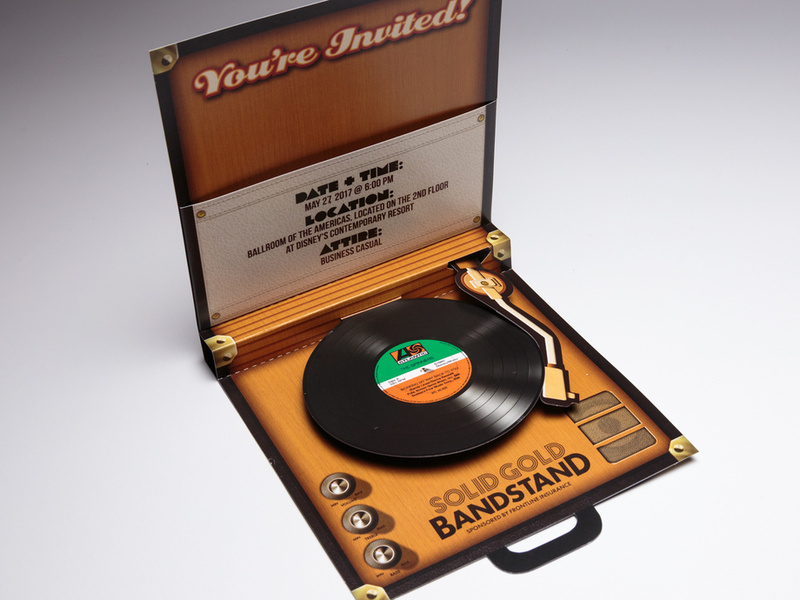 Cool Startups Love Using Direct Mail. But Why? When was the last time you had a mailbox full of actual mail? Print magazines and books now have “e” in front of them. People are paying their bills on the Internet. Customers are opting to go paperless and companies have scaled back printing catalogs, opting instead to use their budgets for websites and social media advertising. Yet there seems to be a print resurgence of sorts among new, digitally-savvy, direct-to-consumer companies. Brands like Casper, Glossier, Quip, Wayfair and HelloFresh have taken to targeting customers in the mail, not just via email. But today, it’s a different story. Every day, we’re inundated with hundreds of emails. Add that to the excessive number of ads we’re faced with on social media, TV, radio and the Internet, and it almost makes you want to scream “Uncle!”. But it’s not just consumers who are feeling the effects of playing in this noisy digital space. Businesses are feeling it, too. Many are finding themselves fishing in a small pond, targeting the same age group, living in the same heavily populated areas with the same general income. In a word, it’s crowded. This is why direct mail is often a more effective way to capture the attention of new and existing customers. Instead of pouring money into a Facebook or Instagram ad (the price of which increases based on how effectively it’s performing), direct mail pieces not only encourage trust in the brand that sent it, but the customer also retains the information in the mailer longer than if they were to have seen it in an email. 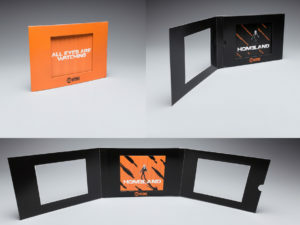 Not to mention, when a high-impact printed format is received by a consumer it stands out in an engaging manner, which is more than we can say for the cluttered digital ads still sitting in their inbox or smartphone applications. Looking to Take Advantage of USPS’ 2019 Promotions? Here’s How. Earlier in the year, the U.S. 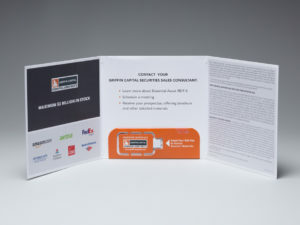 Postal Service re-introduced the first of six new promotions on direct mail for business. Although these promotions could provide substantial discounts on postage for businesses looking to send direct mail, meeting the requirements will entail some work. Here, we’ve broken down two of the six promotions the USPS is offering in 2019. 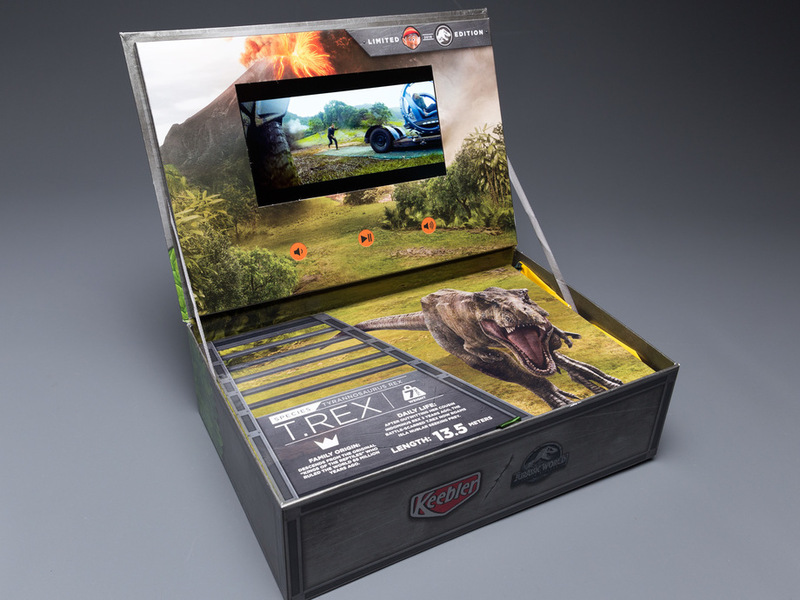 The Tactile, Sensory and Interactive (TSI) promotion is for mailers who enhance their customers’ experience through direct mail via the use of advanced print innovations in paper, specialty inks and interactive elements like pop-ups or folds. Mailers can register for this promotion through July 31, 2019 upon which they’ll be eligible for an upfront two percent postage discount during the promotional period on qualified marketing mail, non-profit letters and flats. The USPS’ second promotion, for Emerging and Advanced Technology, encourages mailers to incorporate emerging technologies like Augmented Reality (AR), Near Field Communications (NFC), Virtual Reality (VR), and Video In Print into their direct mail pieces. 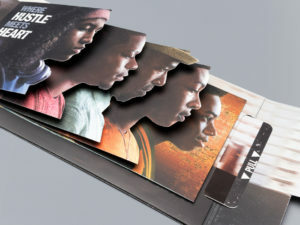 The idea here is to make the physical direct mail piece more effective by incorporating it into a cohesive and multi-channel campaign. Registration is open through August 31, 2019 and the promotion runs from March 1 through August 31. Like the TSI promotion, the Emerging and Advanced Technology promotion gives an upfront two percent postage discount at the time of mailing. For more information and guidance on how to create a campaign that meets the USPS requirements, click here. If you’re doing a good job supporting your clients, they’ll become your best (perhaps presently untapped) marketing resource for your business. Research shows that prospects are more likely to take action on or interact with your brand when they hear about someone else’s experience with your products or services than if they were to only hear a sales pitch from you or one of your sales agents. Clearly, things like testimonials and case studies can go a long way when it comes to marketing your business. However, how can one harness all the great stories, experiences and, overall, customer feedback? Here are a few ideas. We all love seeing the photos customers post of our products on Facebook, Twitter, YouTube and Instagram. So, why not use those to your advantage? By creating a unique hashtag or searching for a specific location or product name, your social listening will be much more targeted and allow you to cultivate added content to use across your own channels. Not only does this translate to better brand loyalty, but it also encourages other customers to post their own images, casting a wider marketing net for you. Looking to implement a new tagline, logo or packaging? Ask your customers what they think first. A great way to make customers and clients feel valued is to engage them in your marketing efforts, involving them in decisions they can be proud of. Maybe it’s as simple as a survey that’s sent in the mail; maybe it’s a single tweet. With Instagram’s new question feature and platforms that allow you to answer questions and get feedback in real-time, there’s never been an easier time to help your audience feel a sense of ownership to your brand (plus you’ll get great insights). Here’s the thing: customers and clients are already talking about you, whether you like it or not. Research suggests that we still give substantial weight to the recommendations of our friends and peers, so, why not give those with positive experiences an opportunity to share them? To get started, why not invite them to do “takeovers” of your social media accounts, present at an event, or review products on their own YouTube channels. Word-of-mouth marketing will validate your brand’s credibility and turn your most loyal fans into advocates of your business. You’ve heard it from us before: Video in Print delivers a powerful multi-sensory experience. Because Video in Print Advertising combines the added context and tactile engagement of print with the compelling motion and sound of video, it’s no wonder more and more marketers are using it to sell products and build trust with their customer base. After all, as Seth Godin once said, “Marketing is no longer about the stuff that you make, but the stories you tell.” So, why not make sure you’re telling the right one? Consider this a cheat sheet. Though video storytelling can be done in many ways, it’s important to be creative and allow your community of viewers, clients and potential customers to be a part of your brand’s story. Instead of giving them what you think they want, create video content that you know they will enjoy while still remaining true to your company and its values. 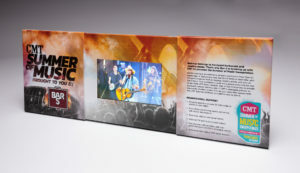 It’s not enough to create a video and post it to the web or include it in a Video in Print brochure. You have to nurture it. In marketing, where it’s historically difficult to track the success of campaigns, why not lead your audience to a specific landing page or encourage a clear call-to-action? Prioritize metadata, make sure to include appropriate tags and create enticing titles, too. Now, that’s a recipe for success. We all know two things are generally better than one. But how about three? With Video in Print brochures, you’re engaging people’s sense of sight as well as their sense of touch and sound, giving them multiple touch-points and ways to engage with your brand. Aside from reading reviews from other users on a specific company or product you’re looking to buy, people typically search for a related video. As consumers, people are interested in how a product works, how it looks or how it will make their lives easier. The golden rule in video marketing: short and simple seals the deal (just don’t forget the Call to Action). Clearly, using video has become a staple in marketing tactics. 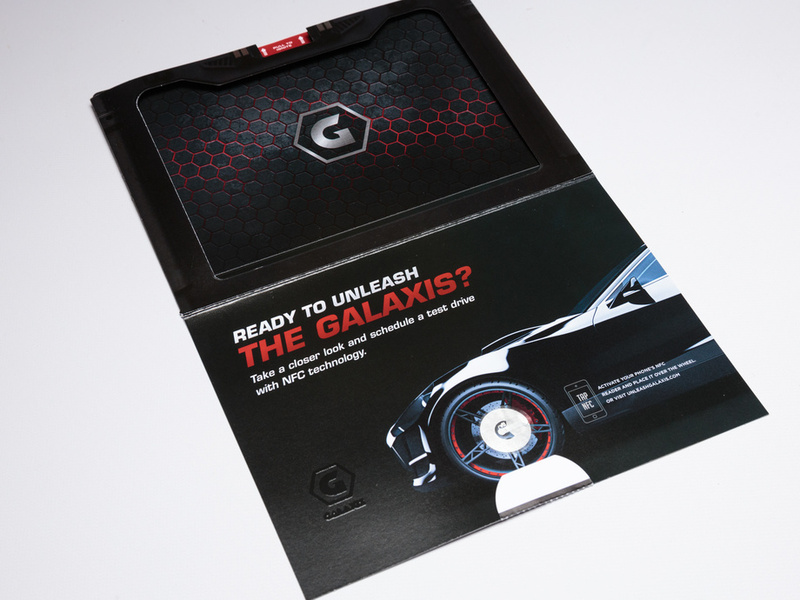 And, when it’s paired with a high-impact printed direct mail piece, it has double the impact. But, wait, what’s that? You aren’t implementing video yet? You want to expand the reach of your current video marketing efforts? Click here to get in touch. In the meantime, take a look at our Video in Print offering on Structural Graphics and download our online ordering division, Red Paper Plane’s full Video in Print Catalog. 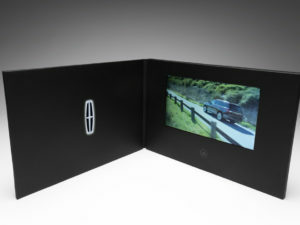 With Video and Print combined, the possibilities are endless! It’s a common scenario: after months of strategizing and laboring over copy or designs, your direct mail piece is ready to be shipped. But when you drop it off at the post office, it can feel like you’re throwing all that hard work into a black hole; from there you have no control over how recipients respond to it, if they respond. Clean Up Your Mailing List. It doesn’t matter how great your copy is if you’re sending mail to the wrong people or to the wrong address (this goes for email distribution, too). If you’re using an incorrect or outdated mailing list, your mail has limited hope of landing in the mailbox you intended for it to. Instead, start with an accurate, updated distribution list. Perhaps that means scrubbing your current mailing list for duplicates, deleting any addresses that have been marked “return to sender” or removing anyone who hasn’t interacted with your communications in awhile. Whatever you do, ensure that you’re getting your contact information from a reliable source. Making sure your list is clean and correct not only guarantees that your mail will be delivered to the people you want it to go to, but it also eliminates the need to overspend on postage, printing, packaging and more. Pick Your Moment. Now that you’ve updated and scrubbed your mailing list, you have to choose the appropriate time to send your direct mail piece. Does it include a promotion that’s good for a limited time? Is there an urgency or a seasonality to what you’re trying to sell? This blog post goes into more detail on the best times of year to send various marketing pieces and the strategy behind doing so. The idea here is the make sure you’re targeting the right people with your marketing and provide value to them with your mail. Capture Their Attention. When it comes to marketing, this is more easily said than done. Once your mail makes it in the hands of your target audience, the next crucial step is to make sure they’ll open it and see what you’re trying to communicate. Dimensional print is a great option for this. The pieces ship flat, but spring to life once they’re opened. 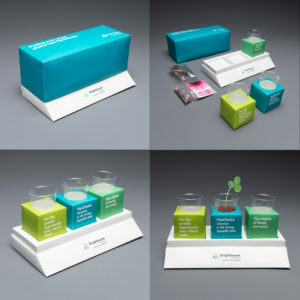 A few of our favorite designs are the Flapper®, which constantly unfolds into itself, the Extendo®, which reveals hidden panels that triples the size of your marketing message, our SleekPeeks® Virtual Reality Viewers that showcase immersive experiences for your target audience, and the classic Pop Up Cube that automatically and unexpectedly pops into fully dimensional shape once removed from its envelope. Print and digital. Digital and print. These two forms of marketing, once separate, are now (combined) the key to what could be a powerful integrated marketing strategy, especially as postal rates and paper costs continue to drive up companies’ budgets. While it’s instinctive that organizations looking to slash operational spend decrease print and postage costs, print is still preferred by 60 percent of customers. 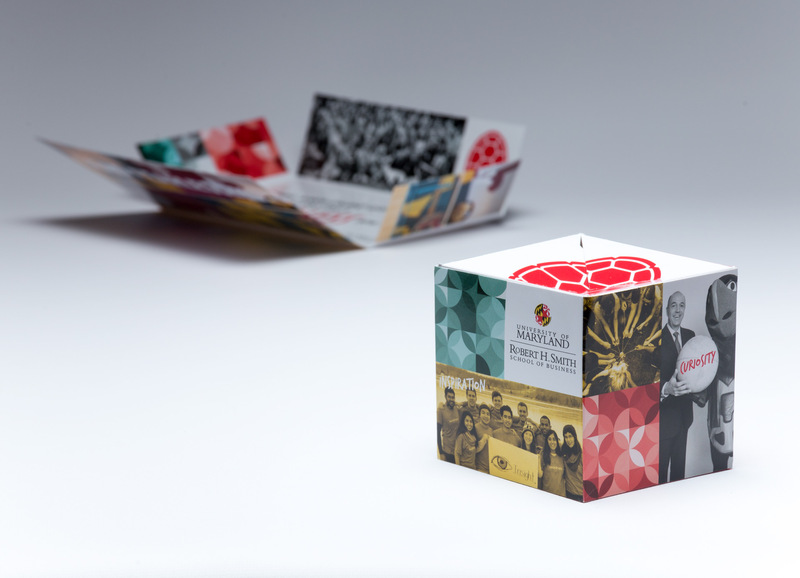 How do you find perfect harmony between managing rising print and mail costs while still maintaining an excellent experience for the consumer? The answer, according to Matt Swain from Broadridge, is choice. 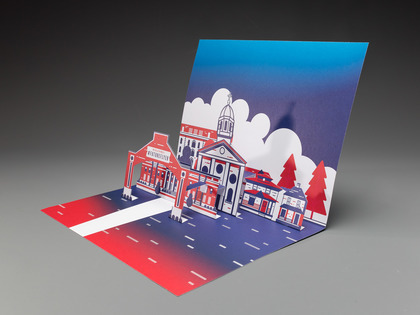 He posits in this article that organizations are “in a position to create a more strategic alignment between their print and digital communications” by going “phygital” – combining print with digital. 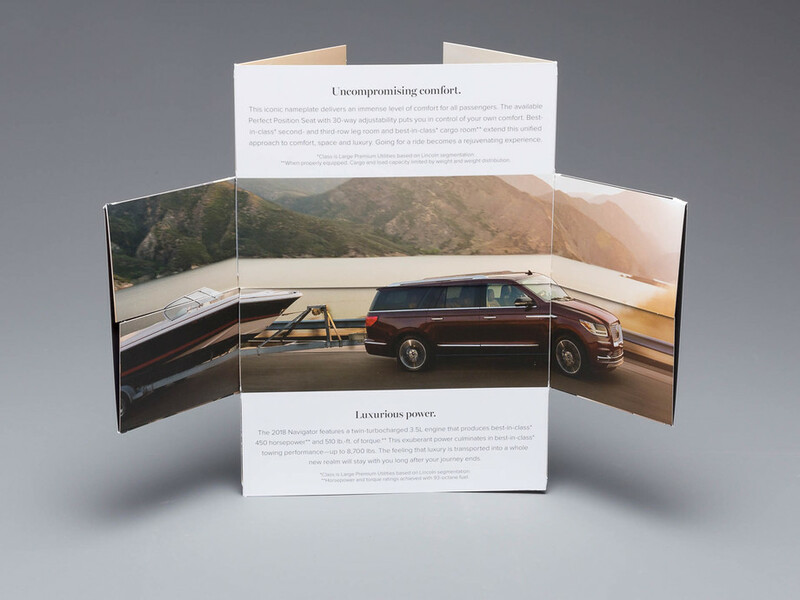 As businesses look more favorably at incorporating integrated marketing campaigns into their strategic plans, many are redesigning their print communications in order for them to complement their digital counterparts. Part of this move includes bridging the gap with technology. QR, AR, VR and more allow businesses to introduce themselves and their products in a “paperless” way. We’re seeing these technologies drive customer engagement and strengthen customer-business relationships. Plus, the use of this technology may qualify your business for an upfront 2 percent USPS postage promotion discount that is in effect for 2019. Not to mention, combined with a high-impact dimensional printed format, the engagement level of each marketing campaign which includes these technologies increases. 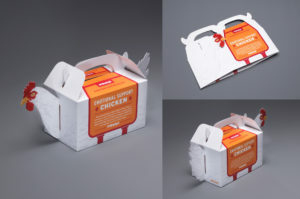 Who designed the most innovative packaging of 2018? 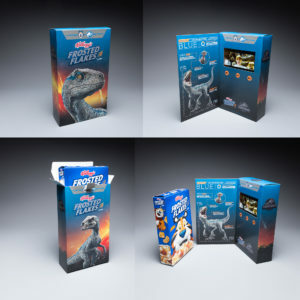 Graphic Design USA, the leading B2B resource for graphic design professionals, answered that question this month with the announcement of the winners of the 2019 GDUSA American Package Design Awards. 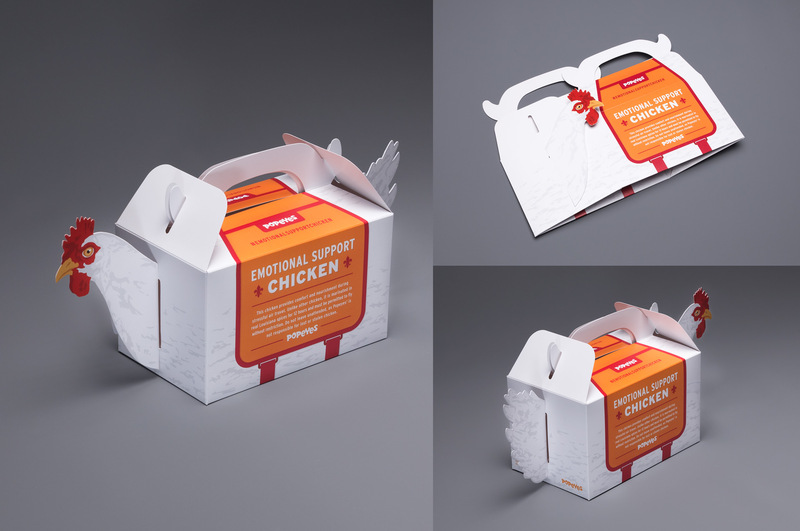 More than 1,000 marketers, designers and printers were challenged as never before to promote their brand in a way that would forge an emotional link with their customers. Out of those entrants, Structural Graphics took home two accolades: winner in the Luxury Packaging Category for Creata Kellogg’s Jurassic World Promotional Video Box and winner in the Food and Beverage Category for the GSD&M Popeyes Emotional Support Chicken Box. Structural Graphics’ insurance marketing sister company, The Lift Factor, is also a winner in the Luxury Packaging Category for the Brighthouse Planter Mailer.